Socialism has long been a subject of much taboo here in the United States. Following World War II, the world plunged into a gloomy era marked by the beginning of the Cold War. As a result, words such as “communism” and “socialism” were met with animosity within the United States to such an extreme extent that the ungrounded accusations against many alleged “commies” led them to be blacklisted and lose their jobs. However, there has been an unforeseen increase in the popularity of socialist ideas in recent years, particularly among millennials. Socialism is a concept in which social and economic inequalities are curbed through means of government programs. It is a system practiced in a number of European nations. While many Americans may claim that the idea is inherently opposed to the concept of American capitalism and financial freedom, nearly half of millennial Democrats say they identify as socialists or Democratic socialists, according to a 2018 poll. Despite the contrasting views of many Americans, socialist ideas could benefit many young adults in the nation, especially those with wealth inequality and soaring college tuition. While baby boomers grew up in an era of relative economic growth and prosperity, the same cannot be said about millennials. Young people today, particularly college students, are facing a wide variety of unique financial struggles. Since the 1980s, college tuition has more than doubled, with more than 44 million Americans currently burdened with debt from their student loans, contributing to an astounding national total of $1.5 trillion. According to the U.S. Bureau of Labor Statistics, prices for housing have risen 224.33 percent from 1980 to 2019, which is about a $224,325 difference in value. This, alongside the current extreme costs of health care and subsequent wealth inequality, prove that young adults today are living in a nation very different from what their parents grew up in. It is clear why millennials today have a much less upbeat view on capitalism and are resorting to socialist ideals as a last-ditch effort to achieve economic security and success. Contrary to the beliefs of many contemporary critics, the United States would most definitely benefit from some socialist influences in government. As it is now, the United States is not solely based upon a free market, but practices a mixed-market economy in which free markets operate along with some state intervention. Many other nations around the world seemingly practice the same concept, such as France, Germany, Finland and Norway. However, socialist nations incorporate greater public enterprise than the United States, such as the inclusion of free college education, free health care and in some cases, free state-sponsored day cares. Ideas like these not only increase quality of life, but spread privileges usually reserved for the economic elite to the whole population. A socialism that allows for more personal freedoms can be superior to a capitalism that permits the pursuit of profit by an elite, manipulating public policy. Furthermore, socialism is innately more sensitive to issues of wealth inequality than capitalism-based systems. While American capitalism boasts complete financial freedom and independence, socialism is far superior in telling us that a member of the electorate is being left behind and that a gap in the wealth distribution is potentially widening. Although the concept of the free market is foundational to the essence of the United States, modern-day wealth inequality issues, paired with an ever-increasing college student population, demands change in government policy so that the young adults of today will have the same opportunities that Americans have enjoyed for the last century. With the increasing presence of socialist movements and politicians, such as Democratic socialist Bernie Sanders, it is indisputable that socialist ideas are not only conceivable, but inevitable in our country’s near future. 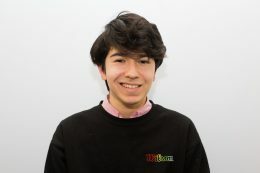 David Hatami is a freshman majoring in political science.